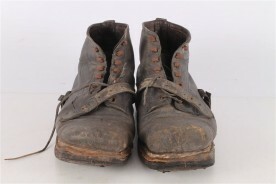 Original WWII German Brown Leather Boots. 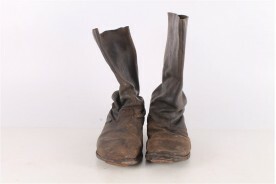 Original WW2 WWII German Luger P08 leather pistol holster.. 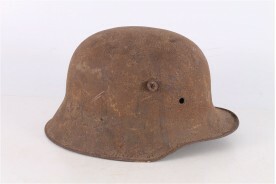 Original WWII M17 Combat Steel Helmet. 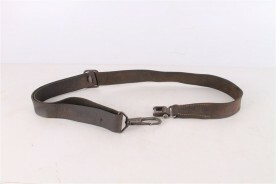 Original WWII MG34 MG42 Leather Sling Strap. 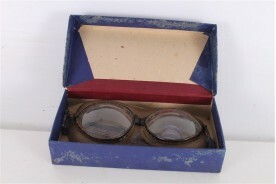 Original WWII Unused Parachute Pilot Goggles Glasses. 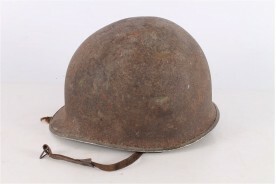 Original WWII US M1 Combat Steel Helmet.